Everything tiny with this one...except for the detail, that only Millefiori beads can bring! 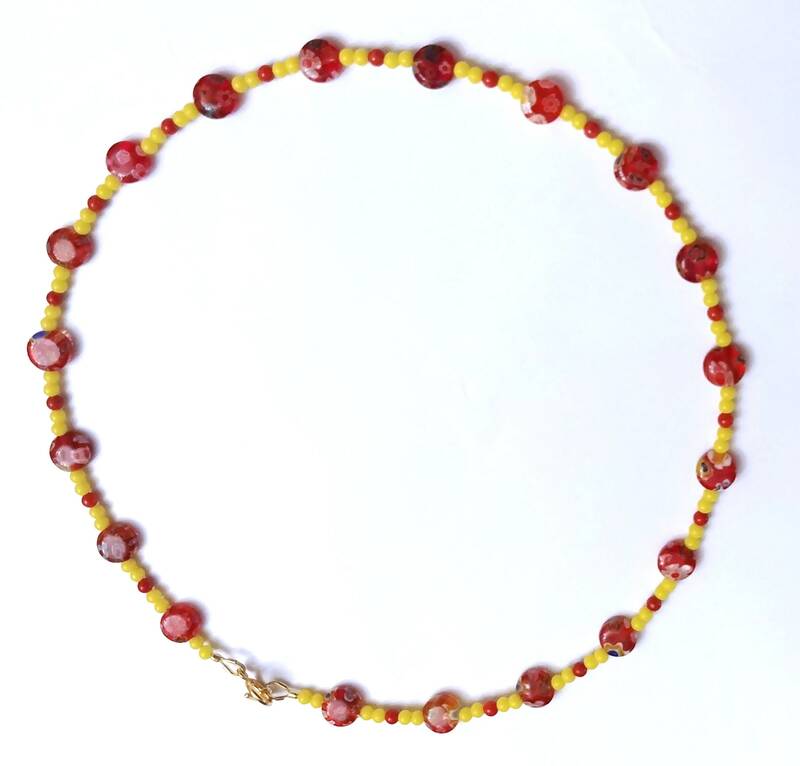 This necklace is a 16 inch choker style necklace. The great thing about this one, is despite how small it is, it is bright and has a lot of pop! 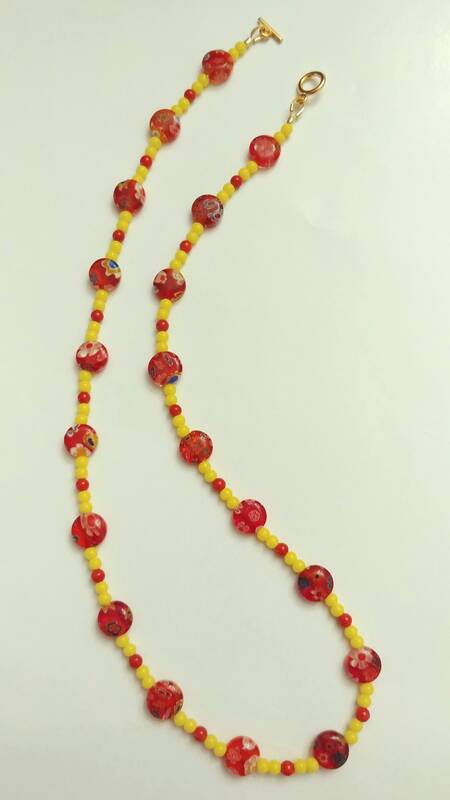 The red coin shaped Millefiori beads have cute little flower designs. They are approximately 1/4 inch (7mm) wide. 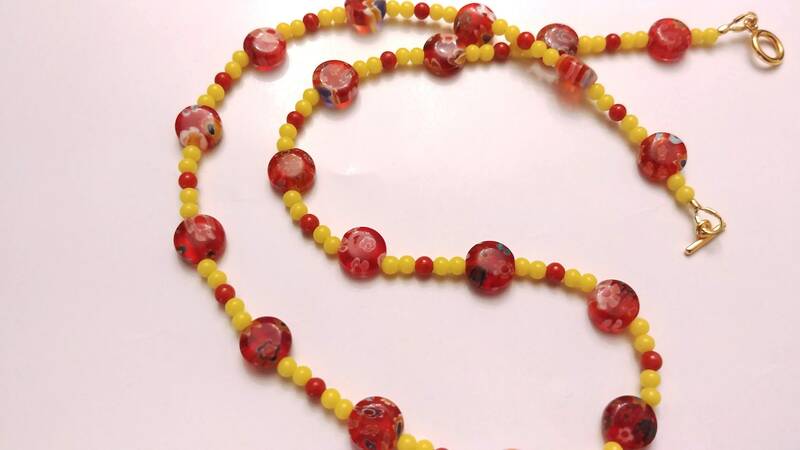 Millefiori beads are made using rolled canes of glass, so the designs are visible throughout the bead, not just on the surface. 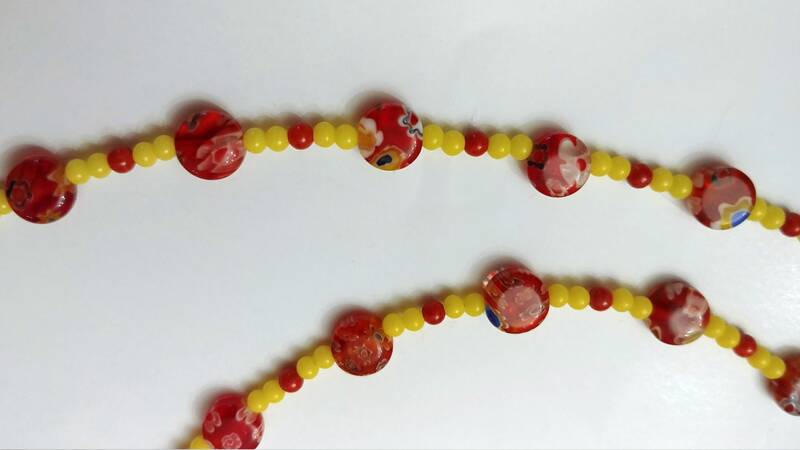 The tiny yellow acrylic beads are approximately 2-3mm. This necklace is an original design by Michele of MichelesAManoDesigns.